David’s mother was keen to find original bar mitzvah entertainment ideas for her son’s bar mitzvah party. 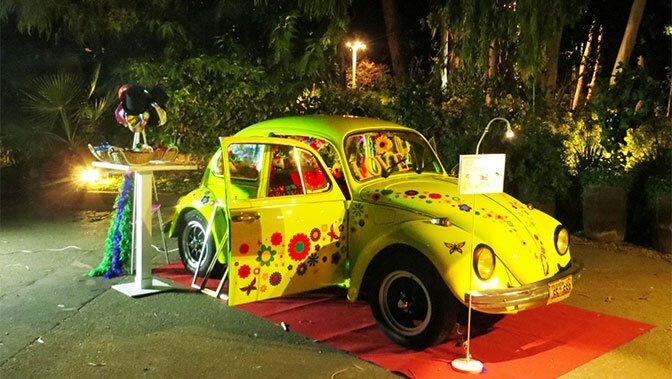 She planned to theme the bar mitzvah celebration in 1960’s style and also relate it to the Beatles as David is a big fan. 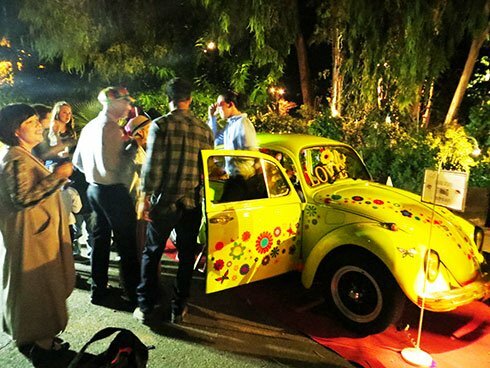 Imagine her delight when she attended a bar mitzvah earlier in the year and the key bar mitzvah entertainment attraction was a photo booth in a vintage VW Beetle, decked out in Flower Power style! It was clear to her that this idea would be the perfect thing to entertain the bar mitzvah guests whilst matching the concept of the party beautifully! 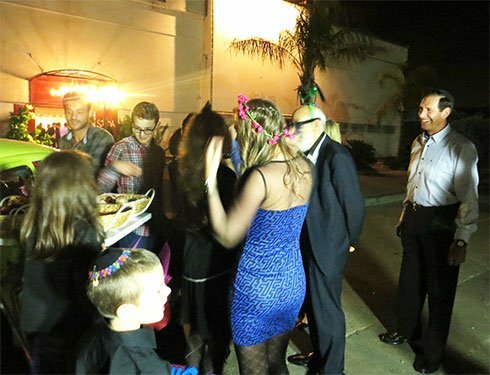 Other bar mitzvah entertainment ideas included John Lennon style glasses, gifts of Beatles discs for the guests, and, of course, Beatles music! The lovely gardens at the Stoa Event Venue provided a gorgeous backdrop for Photomobil and the guests flowed non stop. Photomobil, as always, provided great entertainment for the bar mitzvah guests, from the youngest to the oldest, who enjoyed choosing from the wide range of dress up accessories and climbing into the crazy and funky car where they posed and had their pictures taken. Great fun was had by all and they all took home a wonderful photographic souvenir of the event.